The House of Sound and Story creates things that people listen to. In a world dominated by visuals, we are the Ear People. We tell our own stories, and help people tell their stories too. We also work with video companies to produce videos that look as great as they sound. We create podcasts, radio dramas, documentaries, radio theatre, interviews, talking books, elearning materials and commentaries. We also work with video producers to make sure their sound is as excellent and interesting as their pictures. We produce promotional podcasts for small businesses, spoken newsletters for community organizations, poetry and drama renditions of artists’ printed works, audio books of printed works adapted for the ear. We work with video partners to create videos for you with sparkling video and sparkling sound. We teach public speaking, making podcasts, doing interviews, recording sounds, writing audio drama and recording your own sound effects. We sell the sound effects that we gather. We also work with musicians to record music for theme songs for podcasts. We market your podcast, drama or documentary. We help you build your audience to get your voice and story out there to the big wide world. If we can hear it (or imagine hearing it), we can create it. Send us an email to let us know how we can help you tell your story! Who is The House of Sound and Story? Victoria Fenner started podcasting even before there was an Itunes and an IPhone. When she started her first podcast, the House of Sound and Story in 2005, she was ready to take on this new distribution medium. 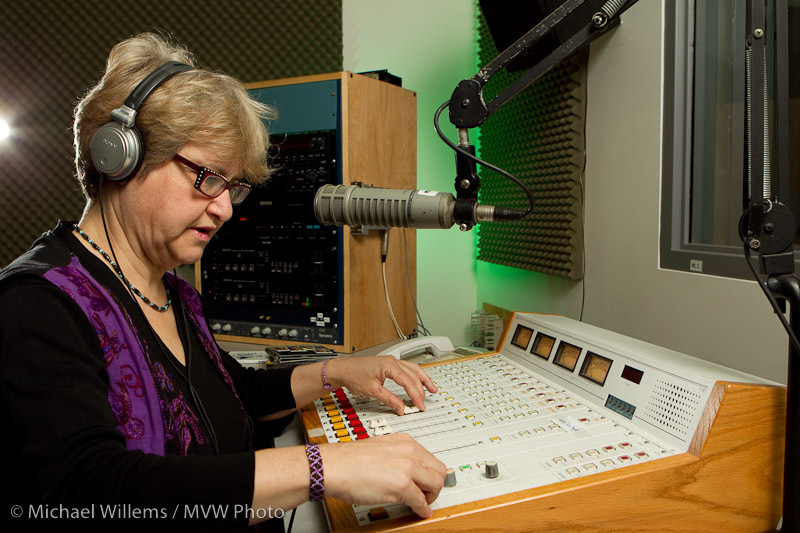 It helped that she was trained in the rigorous production standards of CBC Radio as producer, technician and writer broadcaster. And she also spent many years developing her considerable skills as a media trainer, having worked in community media with people who were just learning how to tell their own stories. She believes that story based based art in particular is a powerful tool to bring about personal and social change, and that media based tools such as audio, video and internet can an inventive and significant tool for self expression, empowerment and business development. Victoria takes a creative approach towards sound making, using her microphone to gather sounds and her computer to organize them in ways which reflect the way she hears the world. In addition to her exceptional skills in spoken word production, she is also a creative artist composing with found sound and voice. She has also worked in video production for CBC Television and Double Barrel Studios in Hamilton, Ontario. She has also taught TV news production at Wilfrid Laurier University, Brantford Campus, and Radio Broadcasting at University of Windsor. She is equally at home working with entrepreneurs wanting to talk to their clients, poets and dramatists who are exploring the audio arts, and community story makers of all ages wanting to reach a wider audience for their unique tales about their lives and places where they live.